I'm doing a wine pairing with a couple of Christmas dishes. 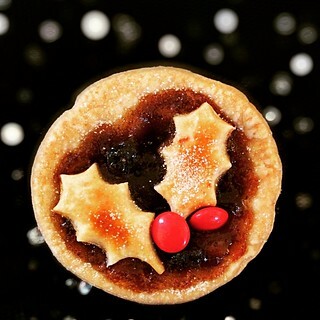 First up is one of my favourites, home made mince pies, paired with Bougrier Rosé d'Anjou, 2013. 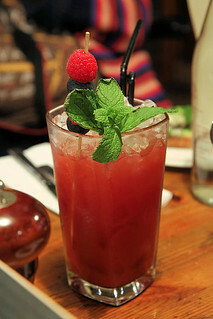 The wine is a gorgeous pink colour and bursting with red berry and fruit flavours. 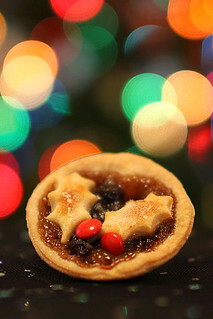 It complements the fruity flavours of the mince pie tarts, which are not overly sweet but lightly spiced. 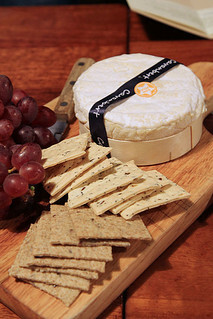 It's a good all-rounder of a wine that's not too dry and would be perfect with canapés and nibbles. Up next are pizzettas, mini pizzas that I've made with puff pastry. 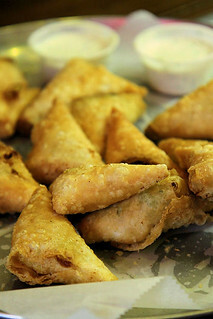 They are so easy to make, great as a starter and you can swap out the toppings to whatever you fancy. I've topped mine with baby courgettes and cherry tomatoes, and sometimes I throw on a little sliced red chilli and some olives. I'm serving them alongside a glass of Bougrier Muscadet, 2012 - a beautiful white wine from the Loire Valley that smells slightly floral. It's crisp and clean with a light fruity overtone and isn't too heavy. 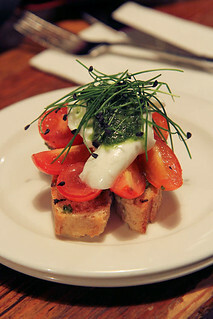 It goes particularly well with the heat of the chilli pesto in the tart and complements the sweetness of the tomatoes. Amounts are a guide, depending on how many you are making. 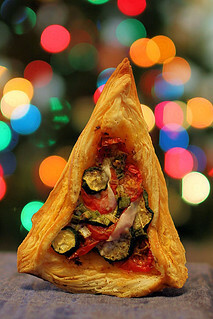 Heat the oven to 200º C.
Roll out the pastry into 12cm rounds, or use squares or triangles if you prefer. Lightly score a 10mm border around the edge of the pastry shape, without cutting right through the pastry. Prick the centre area with a fork and brush the border with the beaten egg. Bake for about 8 minutes. While the pastry is baking, finely slice the spring onions and mix into the melted butter, along with the grated lemon rind and lemon juice. Cut the courgettes and tomatoes into thin slices. Take the pastry out of the oven and push down the middle bit of pastry if it has risen too much. 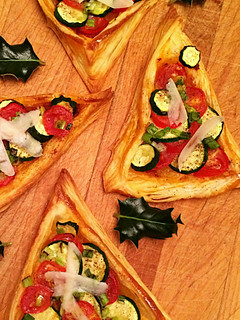 Avoiding the border, spread a little of the chilli pesto onto the centre area of the pastry and arrange the slices of tomato and courgette on top, overlapping as you go. Brush generously with the lemon butter mixture, season with salt and pepper, and return to the oven for another 10-12 minutes, until the tomatoes and courgettes have softened and the pastry edges are puffed and brown. 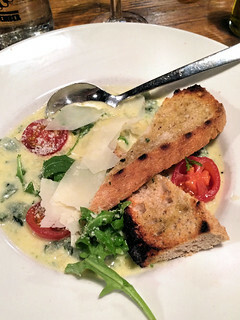 Sprinkle with the freshly grated Parmesan and serve. Finely chop the apricots and place in a large mixing bowl with the chopped almonds. Stir in all the remaining ingredients and mix well. 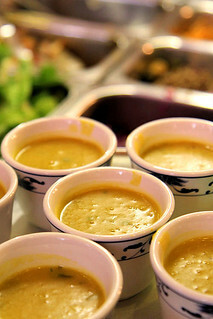 Cover with cling film and leave to stand, stirring occasionally, for at least 2 hours or overnight. Spoon into sterilised jars, pressing down well with the back of the spoon to ensure there are no air gaps. 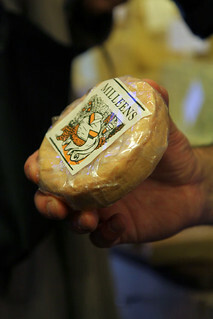 Cover with wax paper discs, seal with lid and store in a cool, dark place until ready to use. 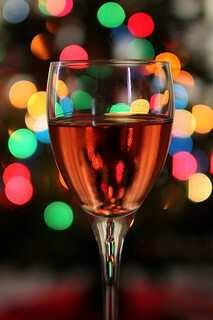 Colour me pink - with rosé for Christmas! 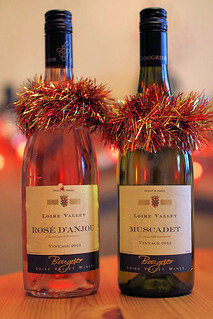 Disclosure: I was sent 2 bottles of Loire Valley wine to pair with Christmas dishes. All views are my own. Do not use photos without full credit or permission. 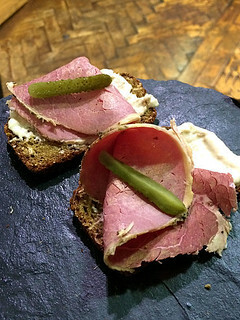 Following on from my Lovin Dublin post, I'm going to give you a flavour of what makes Dublin such a great food destination. 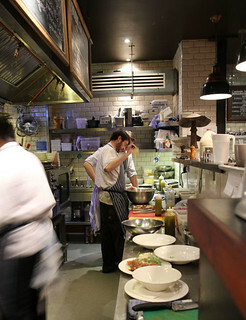 The Dublin food scene is experiencing a revival. 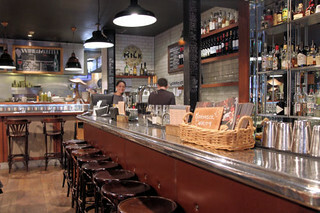 Fantastic cafes, restaurants and bars are popping up on every corner, and the food is becoming more creative and delicious. 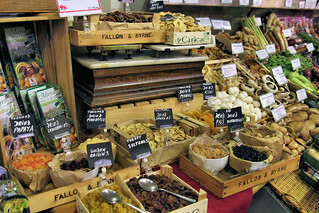 Local produce is being used more widely and there's an emphasis on fresh ingredients. 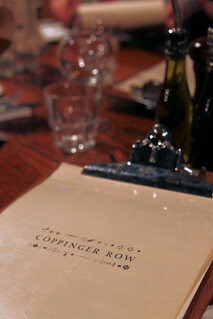 One of the restaurants we visited on our trip was Coppinger Row, a Mediterranean restaurant in the heart of the city, very near to some of Dublin's famous landmarks and the large shopping area. 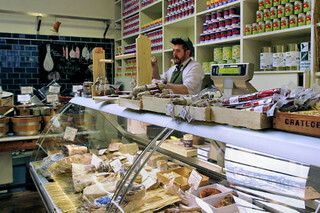 It's an informal relaxed place to go, but the food is fabulous and interesting - owners Marc and Conor Bereen's philosophy is to keep their ingredients seasonal and their menu broad, but focusing on core flavours. 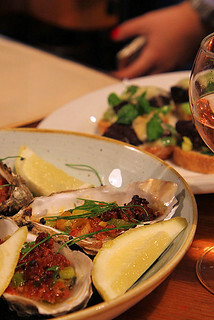 We started with some taster dishes, including Carlingford oysters, Jack McCarthy black pudding and Liscannor Bay Crab Claws, before moving onto our main courses and ending with Cavanbert, Corleggy Cheese. 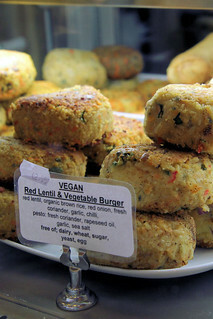 There was a good choice of vegetarian options, something which is often overlooked these days (I'm not sure why!) 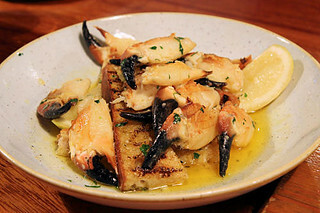 I really liked the Liscannor Bay Crab Claws with garlic butter, which I had not had before. 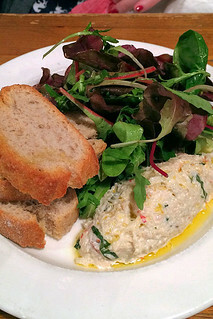 The crab was really fresh, very well cooked and the amount of garlic butter was just right. 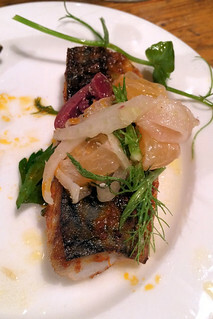 My favourite dish was the Kilmore Quay Mackerel with Moroccan spices, fennel, olive and orange, which was beautiful! 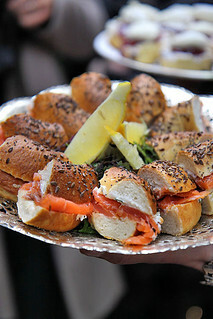 I loved the hint of spice, and the orange and fennel balanced the fish perfectly. 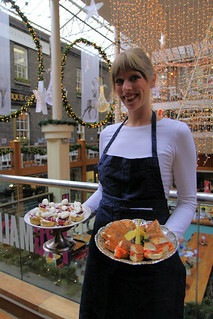 One of the highlights of our Dublin trip was a food tour led by Róisín Fallon of Fab Food Trails. 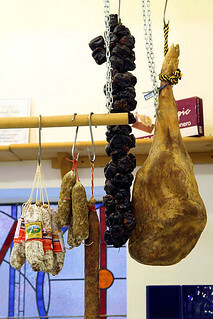 A wonderful morning spent with an experienced local guide, taking us to spots we wouldn't otherwise have found, sampling nibbles from each place, intermingled with snippets of information on the city's history - my idea of heaven! 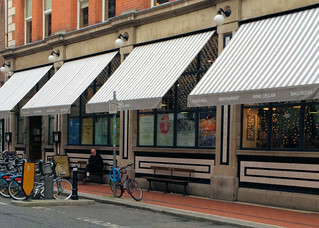 Our first stop was the fantastic Fallon & Byrne, a mecca for everyone who loves food! 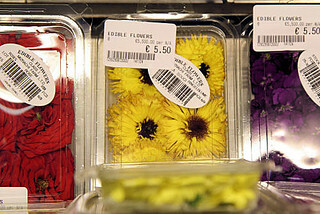 Fresh produce to make your eyes pop, including beautiful edible flowers! I'd shop here everyday if I could. 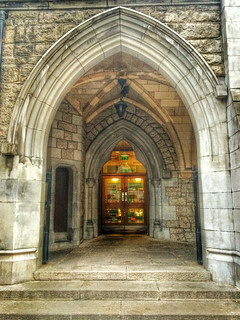 Entrance to Powers Court Centre, I'm loving the wall art! 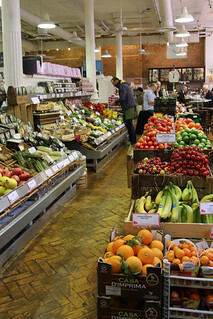 In the lovely setting of the Powers Court Centre, we visited The Pepper Pot Cafe, specialising in homemade organic food using the freshest seasonal ingredients. 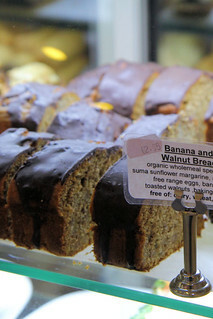 They have a varied menu and offer gluten free breads and cakes. 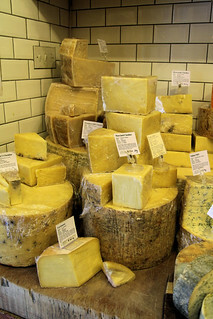 We paid a visit to Sheridans Cheesemongers, where they had a massive selection of Irish cheese, and also European cheeses, lovingly cared for in a specially controlled atmosphere. 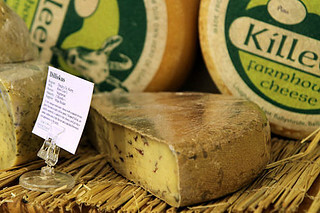 Our cheese tasting was expertly delivered by French shop manager John Leverrier, who explained that the life of a traditional cheesemaker is getting tougher all the time, as modern technology is takes over. 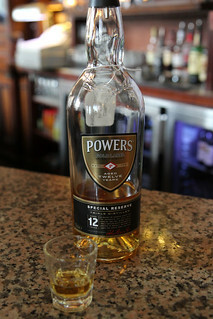 The Swan Bar is a typical Irish pub and it's here we tried generous samples of Powers Gold Label Whisky. 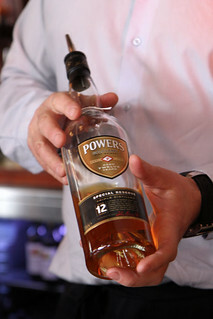 Served to us by Ronan Lynch, who's father Sean achieved fame as an international Irish rugby player, I learned that Powers Gold Label Whisky is aged between 5 and 6 years in Bourbon casks and has notes of caramel, honey, malt and cereal grains. 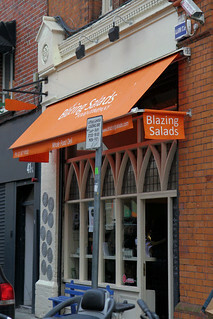 After leaving the pub we headed to Blazing Salads, a great little family-run deli selling a wide variety of vegetarian/vegan salads and organic breads, all made without any artificial or chemical additives. 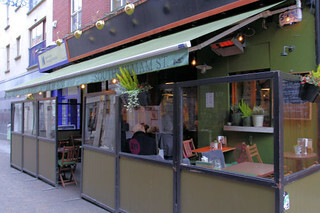 You can visit the salad bar and hot food bar, and the food goes into a convenient carry-out box which is sold by weight. 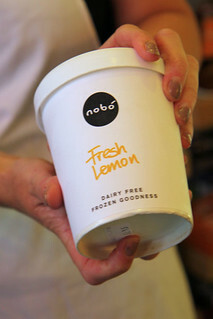 They also sell the Nobó dairy-free ice cream, which recently won the Lovin Dublin food start up prize of €25k. 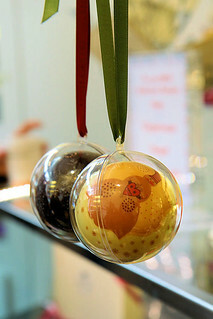 They sell sweet things too! 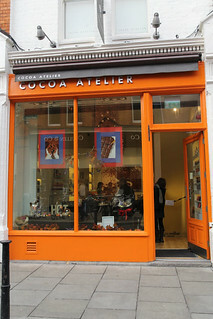 Our last stop was Cocoa Atelier.... a chocolate shop!! 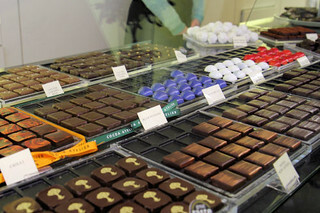 Cocoa Atelier is a French-inspired, Irish-owned boutique, selling gorgeous chocolates, truffles and macarons - what a way to finish our tour! 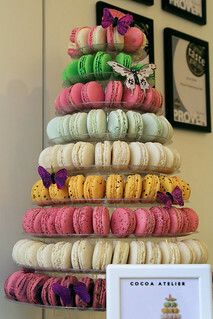 Macaron tower, but which one to choose? 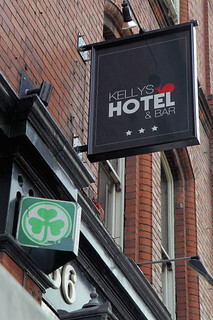 We stayed in the friendly, centrally located Kelly's Hotel, which was perfect as Dublin is a small city and it is easy to walk to most places. 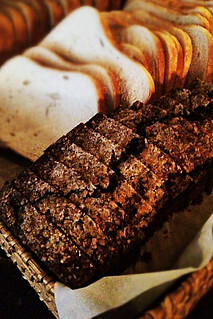 Yes, I had Guinness bread for breakfast! 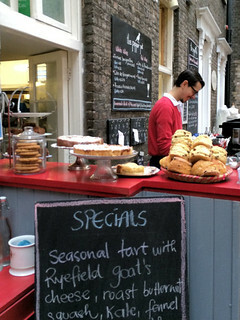 You don't just have to love food to enjoy Dublin (although we all have to eat, right? 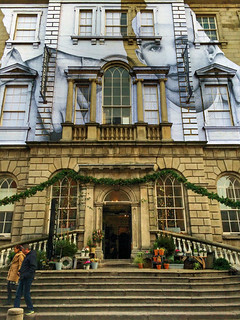 ), there's also museums, galleries, great architecture, and the Guinness Storehouse which is on my list for next time! 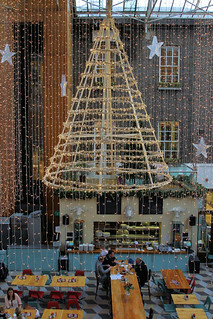 View from my room, very festive! 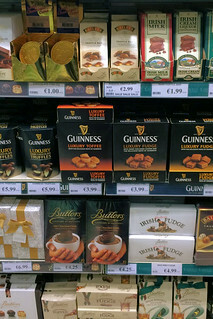 You'll find Guinness & Baileys in fudge, truffles, chocolates and biscuits! 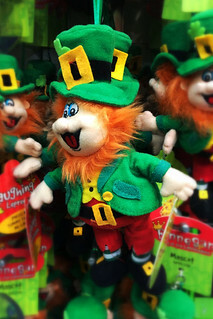 I'm definitely going to go back as the journey to Dublin is super-easy, only taking an hour from Gatwick and about half an hour into town from Dublin airport - perfect for a weekend get-away. 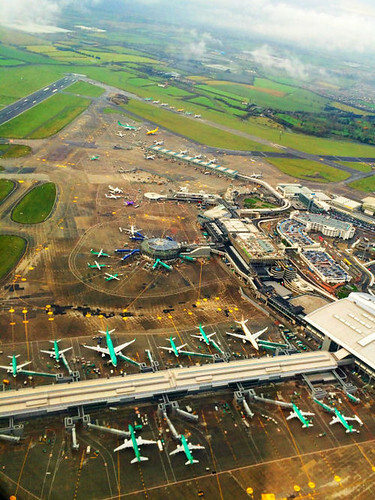 If you don't get a chance to buy food bits to bring back, Dublin airport has its own stash of chocolate, cheese, jams biscuits etc. in the departure lounge. 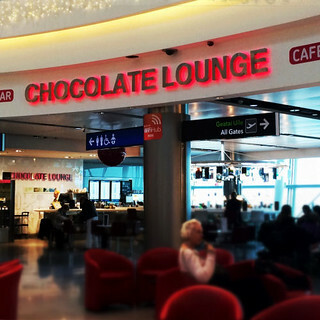 There is also a chocolate cafe and a chocolate lounge to relax in while waiting for your flight, yes I said CHOCOLATE! On a side note, Dublin knows how to cater for those who follow a gluten free diet, as it has a high incidence of coeliac disease. This apparently stems from way back, when people were largely dependent on the potato and didn't eat wheat. 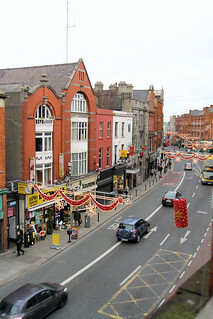 Bye Dublin, hope to see you again! 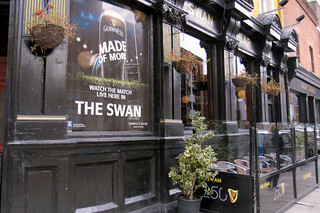 It doesn't always rain in Dublin, we enjoyed two glorious sunny days, but do prepare yourself to be immersed in green! 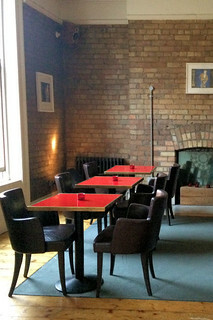 Also check out the Lovin Dublin website for up to date restaurant reviews, events and the latest on Dublin's food scene. 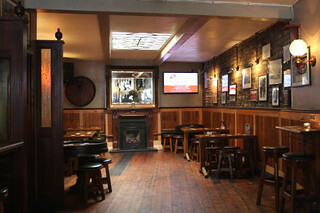 Thank you to Visit Dublin, and Lovin Dublin sponsors O'Briens Wine, Heinz Ireland and SuperValu for giving me the opportunity to visit Dublin. 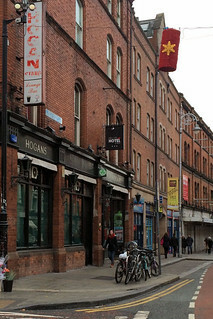 Disclosure: I was invited to Dublin for the Lovin Dublin event, all views expressed here are my own.